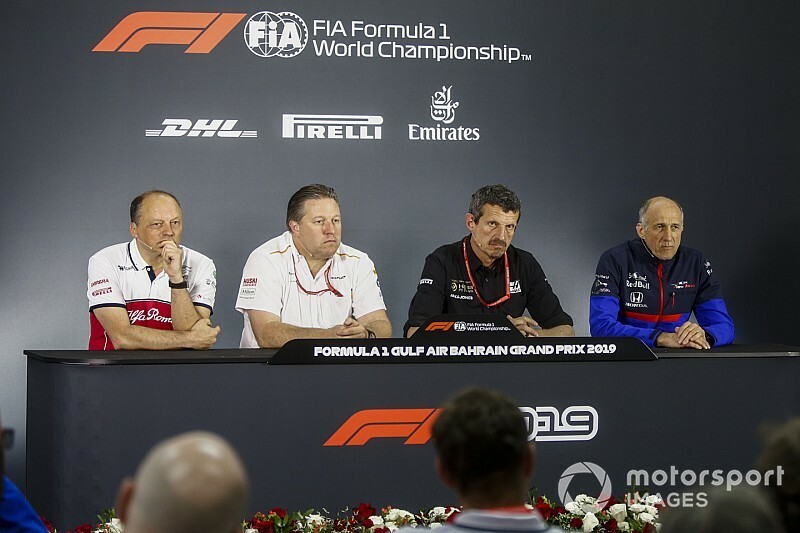 TEAM REPRESENTATIVES – Zak BROWN (McLaren), Frédéric VASSEUR (Alfa Romeo Racing), Guenther STEINER (Haas), Franz TOST (Toro Rosso). A question to all of you first: you had a meeting with Formula One earlier this week. In the broadest terms can you tell us what was presented and is there a positive way forward regarding 2021? Fréd, if we could start with you please? Frédéric VASSEUR: We can. We tried to cover all the topics of the project. I think that we are doing a good step forward. It’s not an easy one because we are 10 teams around the table with different kinds of structure for the company, with different targets, but we are going in the right direction from my point of view. Zak BROWN: I would agree with Fréd. Chase rolled out I think pretty much what we were all expecting around budget cap, revenue distribution, governance and technical rules. I don’t think anyone was surprised because he has been consulting with all the teams, really since this time last year. And like Fréd said, it was all a very positive step in the right direction. It’s probably not an ideal situation for any of the 10 teams but given that you have 10 teams you’re never going to land on something that works for all. So I think the fact that it’s maybe not perfect for any one team means that he got it pretty right. Guenther STEINER: I think I would like to say the same. There were positive talks. If they would all agree with what we want, we would be done. But they don’t. They’ve got their own thing to think about, so…. No, without joking about it, I think it’s a good step forward and hopefully we can get this done soon, because we need to move forward. We need technical regulations, we need the governance, to know how that works going forward, but Chase and Ross they work hard on it and together with the FIA, with Jean Todt, hopefully soon they can come up with the ultimate solution which will please all of us and find the right compromise among the 10 of us, which I don’t envy them to try to find the compromise between us 10, but somebody has to do it and they will get it done. Franz TOST: There’s not too much to add. We talks about all the topics just mentioned and I think Liberty Media and the FIA is on the right way forward and I hope that soon we will have a final regulation on the sporting side, as well as the technical side. Regarding the commercial prospect, a little bit difficult, because as you can imagine the big teams do not want to spend less money, the smaller teams want to spend less money. It’s early or later a compromise we have to find to have a good and competitive and interesting Formula One in the future. Q: Thank you. Zak if we could come back to you: there’s a new face with the team this weekend in your technical director James Key. During your meetings with him so far, what’s been on the agenda? ZB: Well, it’s very early days. James just started on Monday and attended the Strategy Group meeting with me on Tuesday and of course he’s been here ever since. I think he’s just in observation mode at the moment, getting to k know the team. We’ve made quite a few changes, starting in the middle of last year, and so it’s great to have him on board. And then of course we have Andreas Seidl who will be joining us in a month to run the Formula One team, so once he’s joined then we’ll be pretty complete on the racing team and then we just need to put our heads down and try to go faster. Q: James Key is new but there’s a returnee next week in Fernando Alonso, who is going to be testing next Tuesday. How do you expect his input to help the team? ZB: Well, he’s got 17 or 18 years of experience in Formula 1, he’s got four or five years’ experience with McLaren. Obviously a very talented, experienced driver and as we look to continue the development, as the midfield sitting here is unbelievably tight, we’re going to value his opinion and feedback and to get three drivers contributing to how we can make the race car better is one third better than having two, so I think his experience will be a valuable contribution. Q: And his experience in 2018 in particular? ZB: Yeah, ultimately a lot of this year’s car was based on his feedback from last year, so for him to be able to get in the car and recognize the changes we’ve made I think he’ll be able to say that we’ve gone in the right direction or the wrong direction, we need a little bit more of this or a little bit less of that and make sure that he gives Carlos and Lando as much of a competitive car as possible. Q: Thank you. Franz, you’ve got a new driver line-up this year, both of whom have been invited back into the Red Bull fold. First of all, how has Daniil changed since he was last with the team? FT: You know, when Danill was with us the first time, it was 2014, and he came from GP3 to Formula One. It was a big step in those days. He did a really good job with us and then he went to Red Bull Racing, he also had some good races there, he finished on the podium, but for different reasons he came back to us and he was struggling a little bit. But not because of his abilities or because of his skills. I think in those days our car was not so reliable or so competitive. Therefore it was a really difficult situation. He had then a one year break, was together with Ferrari, he learned a lot, became much more mature and has a better overview of Formula One. He is now back and he is showing his performance. Therefore, we are happy he is with us. Alex is coming from Formula 2. He won last year four races, showed a really good performance and from the first test onwards I was really happy to have him in the team because he surprised all of us by a fantastic performance and also by really good technical feedback. He has also a good overview of how to treat the tyres. I must say that Toro Rosso has a very, very strong driver line-up this year and I’m convinced that both of them will have a lot of success in the future. Q: That’s the drivers, what about the engine? It’s your second year with Honda. How much progress have they made last year to this? FT: They made big steps forward regarding reliability as well as the performance. I must say a big thank you to Sakura because they worked very hard and they closed the gap to the top teams and with Red Bull Racing I think they are this year they are in a position to fight for victories as well as the championship. I am more than happy to work together with Honda, with such an established company. Q: Thanks. Fréd, let’s start by talking about drivers as well. Two new drivers. How has Kimi’s experience helped you so far? 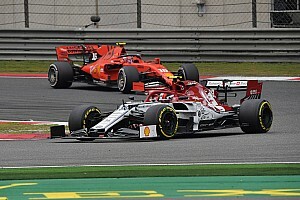 FV: As you know, even if Sauber was there before, now with Alfa Romeo Racing is quite a new team and we restructured the team last year and the year before quite a lot and we have plenty of new guys and I think that to have Kimi on board is a good push in terms of experience also for the team. Drivers, for sure, they are a pillar of the performance, not only into the car but also alongside and he is part of the development of the company and the team. Q: And are you confident that Antonio can run him close this year? FV: Yeah, yeah. He did a very good Q1 in Melbourne and I will be patient. I remember perfectly the press conference last year in Bahrain, because a big part of journalists wanted to ask me when Charles would stop, because he was absolutely nowhere from them after two races and then he was the world champion. You just have to stay calm everybody and to give him the time to put everything together but I am very confident that he will do it. Q: As you say, a lot of changes at Alfa Romeo Racing over the winter. What’s a realistic goal for the constructors’ championship this year? FV: Honestly, it’s difficult to have a clear picture from Melbourne. The only thing I think it that you can move, in terms of team, from P4 for P9 or P10 from one session to another one. It’s more than tight, more than before, more than ever. It will be a big fight on development and we have to stay focused and to be able to do the same as we did last year, and then we’ll see. But I don’t want to point to something like this yet. Q: Guenther, everyone else here has new drivers for 2019. You have the same driver line-up as last year. What advantages has that stability given you? Guenther STEINER: Just keeping the stability, we hope to have an advantage that the drivers don’t have to settle-in, because that always takes a little bit of time: they know us, we know them and for us last year, when we had to decide, we came to the conclusion that’s the best way for us forward, just to keep it stable and go on another year with the same driver line-up. Q: And, what about your ambitions for this year? You finished fifth in the Constructors’ Championship last year. Given the size and budgets of the teams ahead of you, how realistic is P4? GS: I think it’s very difficult to say yet – because we had one race, we had one big test and one race and we don’t know where we really stand. I think we have to wait a few races to see. That will be our aim. Whether we achieve it or not, I don’t know yet – but you always have to aim for something better. As Fred just mentioned, the midfield is very competitive this year. More than ever, I would say. So, you never know what is happening from race-to-race, which I find is interesting. We just try to make less mistakes: we didn’t start well in Australia with that one but we try to recover from it and just try to score as many points as possible and try to achieve fourth, which would be better than last year. But you never know. Let’s wait and see. Q: And to get fourth, are you going to have to change your approach regarding regarding development? GS: No. I think we made big step last year from two years ago, how we develop. We learnt a lot and we’ll try to be even better than last year. We will bring developments, we try to make them quicker this year. Last year we were a little bit slow because we don’t have our own manufacturing capabilities. We outsource. By doing that a little bit more last year we found better partners, better people which can react quicker. So, we just try to be quicker and do more – like everybody else will do. With these new regulations this year, this is the race to finish best of the rest: basically who can manager their upgrades better and who can do more, and who can get better upgrades. Q: (Dieter Recken – Racing Lines / racefans.net) Reference Tom’s question earlier on about Tuesday’s meeting. It was here exactly a year ago today, according to the calendar, that Liberty presented their vision for 2021. So, exactly a year has passed. Have we actually made any progress in that year? To all four of you please. FT: Yes. They made some steps forward, on the sporting regulations side as well as on the technical regulations side there are some really good ideas. I hope that they will take place. And from the commercial side, there are also some changes. As I mentioned before, I think they are on the right way but time is now becoming a crucial factor because we have to decide – or they have to decide – now, the final version of all these different topics within the next half of the year – and I hope that they will do this. GS: I fully agree with Franz that it’s now a timing issue. We need to get this done quicker rather than later. And, on the other side, to answer the question ‘did we make progress?’ Yes, we made progress but progress you cannot only see in ‘is the new document better than the old one?’ It’s also progress I think, for FIA, FOM and us, is a better understanding of each other, what we want to achieve and what can be achieved with the different models we are getting out there. So, I think there has been a lot of progress made, not actually in what is offered but in the understanding of what needs to be done that everybody agrees. And that is not written on paper. That is more a general understanding of all the partners involved to make the next proposal, to get closer to get something final and to see where it needs to be reworked – but I would say there has been progress but as I continue to say, timing now is very important. ZB: Not much to build on what Guenther and Franz said, other than yes, there has definitely been progress in that we now have a deal in front of us to react to. I think it’s been well thought-out. We’ve all been consulted and we’d just emphasise, yeah, timing now is of the essence so we can all get prepared – but the ball’s really in our court for that. FV: Yeah, difficult to add something but honestly we did good progress and now we have to close the deal soon but at least on the technical regulations, the sporting regulations and all this side of the discussion, I think we have a much better picture of the situation, and on the other aspect, more financial, I think that we are doing one step in the direction of each other and we will be able to close something soon. Q: (Dan Knutson – Auto Action / Speed Sport) For all of you, starting with Guenther please, how would you describe your philosophy and style of team management? GS: I would say pretty direct. I’m hands-on, I’m doing this a long time, I try to motivate people in the best way be being direct and telling them what I think and then we discuss. Pretty simple. ZB: Probably best that you ask the racing team but my view is you need to bring on the best talent you can, empower them, give them the resources that they need and ultimately all these Formula One teams are big entities and so you need great teamwork, so I tend to focus on letting everyone do what they do best. They’re more talented than I am in many areas. FV: It’s always difficult to describe yourself, and probably it will be much more useful to ask my guys. I’m coming from racing, and I tried to get everyone motivated with the same spirit: that we are a small team on the grid and we need to get the best from everybody if we want to be competitive. We have to keep the approach of the proper racing team and I think we are on the good way. FT: I would say a democratic way of management. All the people which are in the team and the board management of the team are involved in major decisions. We are sitting together nearly every second day to discuss the important topics and then we make together the decisions – to motivate the people and to find the money to run the team. Those are the jobs. 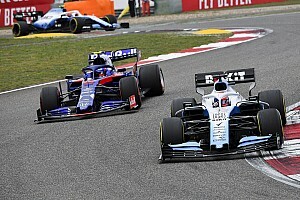 Q: (Ben Anderson – F1 Racing) You were talking about the need for urgency over clarifying the 2021 picture – but whatever those rules look like, there’s talk of a delay to publishing them, maybe until December, to not benefit the top teams and help the smaller teams. As leaders of smaller teams, would you really benefit from a delay to the publication of the regulations, considering you would have in theory less time and less resource to react to that delay? FV: It’s always difficult to know if the late publication of the regulations will help the small teams or the big teams – because they’re also able to develop much faster than us and it’s not an easy goal or an easy way to decide. Honestly, for me it’s not just a matter of timing , it’s also a matter of being sure about what we are doing. It’s much better to take this kind of decision that to publish something a bit later. we are not in a rush to publish something on the 27th of June. It’s not the big part of the deal. ZB: We’ll just react accordingly, as other racing teams will. Obviously if you start earlier, you get a bigger head start, also gives the ability to maybe spend more money, which the big teams have. So, if it’s June, August, December doesn’t really matter: it’ll be the same for all ten teams and we’ll all respond accordingly. GS: I agree with Zak – but whatever it is, it is, on this topic – because I think the big teams will always be in a better position because, in theory, they should be in even a better position if we start later because then they can throw even, more in a short time, emphasis on it. So it’s neither here nor there. At some stage we just have to have to come to a conclusion that we get started and get going. Keep it practical and don’t discuss, or maybe get a little bit of an advantage because that is why we don’t decide. From our side, if we start in June, fine, if we start in December, fine as well. We will not have a big opinion about either of it. FT: First of all, it’s not 100 per cent decided yet. Should be confidential but anyway… as we see, people know about what we discussed in this meeting. The main topic is not to spend even more money because the earlier the new regulation is being published, the earlier the teams start to investigate this new regulation and spend a hell of a lot of money for the development. 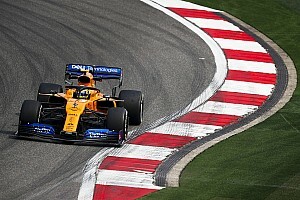 Which means, if the new regulation comes out in June, this year teams immediately will be concentrated to build up engineering groups to investigate this new regulation and to start with the different tests and simulations, just to get an advantage out of it. We will see where we end up. Q: (Abdulrahman Al-Saud – University College Bahrain) We’re aware that the Bahrain circuit will have more opportunities for overtaking compared to Melbourne. How do you help the drivers find that edge to identify whether they can or can’t? FT: Whether they can or can’t overtake? They just should push the right hand pedal and overtake. Where’s the problem? DRS open and go. There are three DRS zones here, long straights. I expect that we will see much more overtaking manoeuvres than in Melbourne. We all know that Melbourne is a track where it’s difficult to overtake but here in Bahrain, I think that there are possibilities that drivers can overtake and the rest we will see on Sunday. GS: I agree with Franz. ZB: Yeah, I think you let the drivers drive so they’ll figure out best where they think they can make a move on the driver in front of them. FV: I won’t explain to Kimi where he has to overtake! Q: (Ben Edwards – Channel 4 TV) Zak, you’ve got some big names management-wise at McLaren. You’ve got James Key coming in, you’ve mentioned Andreas Seidl, you’ve got Gil de Ferran there. Can you just explain to us the roles that each of those are going to play? ZB: Yeah. Andreas Seidl is going to be responsible for running the Formula One team, full stop, so he’s the boss and will ultimately be responsible for the performance. James Key is the technical director and will ultimately be responsible along with many people for producing a fast race car and then Gil de Ferran will remain in the role that he’s been working with me in as sporting director, which is looking over a variety of McLaren Racing programmes and he’s done a great job, kind of jumping in as we’ve been in transition and so when Andreas gets settled into that, you’ll see Gil go more to the role that he was intended to do when we brought him on in the middle of last year. 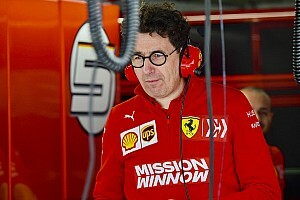 Q: (Julien Billiotte – AutoHebdo) Zak, of the four team bosses here, you are the only one whose team is not strongly affiliated to one of the top three teams at the moment. Do you share Renault’s concern of the status of so-called B-teams, especially in regards with aero-listed parts? ZB: Yeah, of course we do. I think the way the sport has grown has enabled teams to be able to do new business, if you like, with other teams and we’d like to see the sport come back to more of a purity of a constructor. They’ve done a great job, we all know what the rule book allows and so they’ve done an excellent job with it but we’d like to see everyone be a little bit more independent moving forward. Q: (Dieter Rencken – Racing Lines, Racefans.net) On exactly that topic, because that was my question. In any event, you obviously run an independent-type situation whereas the other three are in some way or other affiliated to a larger team, I wouldn’t be insulting and call them B teams but certainly satellite or supplier relationships. How do you feel about these regulations, the other three? FT: First of all, if someone, who runs a manufacturer team is complaining that the small teams are faster and better than him, then he hasn’t simply done his homework in a proper way, because we at a Toro Rosso, we have from Red Bull Racing the gearbox from last year, the rear suspension from last year and parts from the front suspension – most of the front suspension we’ve anyway done ourselves. So, the reason why Toro Rosso is so competitive is mainly because of the fantastic power unit which we have from Honda. It seems that others are not doing such a good job and therefore they should not complain and wingeing around. They just should do their job. We have a good package together with the car, fantastic drivers and a fantastic power unit from Honda, that’s the reason why we are competitive. GS: As Franz says, leave us alone, leave us doing our job. You know, we are fine, get back to yourselves. I think a lot of these manufacturer teams should also see the opportunities they are given because they want to take something away from us, I see it like this, which was there before. We didn’t invent it. Red Bull, Toro Rosso, Haas, Ferrari didn’t invent this. This was there, we took it, this model and they did. If they want to do it they can do it but we are not going to say you have to do it, so we are not the people which want to take something away from the manufacturers. If you think your way is the better one, have it like that. Good luck and I wish them well, but if you don’t deliver as Franz says, if you are yourself your own problem, because you don’t do it well, don’t blame other people doing a different job for doing it well and trying to diminish what they are doing by making it worse, because in doing that, the gap will grow, because at the moment the teams which have these affiliations with the big teams, they are getting closer to the top three and that’s what it should be. If we are knocked down, then we create, instead of a two tier society, it will be a three tier. There will be the works teams, the good ones, then we will have the bad works teams and then there will be us so what have we achieved then for the sport? That is our principle. We don’t try to take anything away from anybody. It was there, it was decided, democratically years ago, that this is a model which can work. We read the rules, some other people didn’t and here we are, so I think it’s a model which is pretty good to go forwards. FV: Nothing to add, but I don’t want to speak for the others but yes, there is a regulation that we are playing a fair game in the area of the regulation and we have to stay aware about the (inaudible) for everybody. I don’t care about what the others could think about the situation but there is a regulation, we are pushing like hell to stick to the regulation and to do our best and that’s it. Q: (Christoph Becker – Frankfurter Allegemeinezeitung) This week there’s been a call up for the first time by international organisations on F1 and FIA to demand the release of prisoners who have allegedly protested against the race here. FIA and F1 have refrained from doing so. What’s your position here? FT: It’s quite easy. We are here for a sport event, not for a political event. That means, first of all, I was surprised that there are still some political turmoil which I don’t think is the reality. I think that the reality is just that a few people want to create troubles and Formula One is here to make sport, to entertain the people and we should not be involved in any political questions. This, people should do, who are here, who are living here. The government, whoever, that’s their job, not our job. Q: Anyone else like to add to anything Franz has said on the subject? Ok.
Q: (Jens Nagler – Bild) There are have been some complaints from drivers that they couldn’t see the starting lights in Melbourne. I’m just wondering, did you hear anything from your drivers, how much of a problem is it, is there any solution? FV: No, we had no issue with these particular points but I think it depends also on the position on the grid and probably the halo but I think they will sort it out quite soon, to find a clear solution. Q: It was Pierre Gasly in this press conference yesterday who said he had problems in Melbourne. Anything from your drivers Zak? ZB: No, our drivers didn’t say anything. GS: No, nothing from our ones, they were fine with it. FT: Also the good start! Q: (Dieter Rencken – Racing Lines, Racefans.net) … has got the brand of an e-cigarette, a new generation cigarette on it. Is it something that (inaudible) turns commercial relationships for your own teams, going forward? FT: I don’t care where the money is coming from. I’m fine with it. GS: At the moment we don’t have a presentation, nobody’s approaching us and should we be approached to do it we would look into it and think about it but this one of the things we are not going actively after, alternatives to cigarettes, like we will deal with it when we get the problem. FV: No particular comments on this point because we are not in the same situation.